World-renowned epigrapher Ada Yardeni died on June 29, 2018. A member of the Faculty of Humanities at the Hebrew University of Jerusalem, Yardeni had authored numerous publications, including The Book of Hebrew Script: History, Palaeography, Script Styles, Calligraphy & Design (London: The British Library, 2002), which is recognized as the authoritative text on the subject. 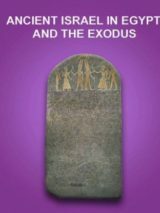 I think that anybody who is interested in the history of the Biblical lands, of the religions that developed in it, and of the neighboring regions understands the importance of discovering and publishing ancient objects, whether inscribed or not, for a better understanding of our past. Unprovenanced antiquities should be carefully examined, and if there is no obvious reason to reject them as forgeries, they should be published by scholars—the same as those found in controlled excavations. We can hope for more authorized excavations, but it would be ridiculous to ignore the existence of treasures that can enrich our knowledge—or to put back into caves or bury in the earth these important finds—just because they came from the antiquities market. Esther Eshel, Hanan Eshel, and Ada Yardeni, “Who Was He? Rare DSS Text Mentions King Jonathan,” BAR, January/February 1994. Ada Yardeni, “They Would Change the Dates of Clearly Stratified Inscriptions—Impossible!” BAR, March/April 1997. Ada Yardeni, “Breaking the Missing Link,” BAR, May/June 1998. Ada Yardeni, “A New Dead Sea Scroll in Stone?” BAR, January/February 2008. Ada Yardeni, “2,000 Ancient Aramaic Business Scribbles (including the delivery of 30 mice),” BAR, September/October 2014. Ada Yardeni, “Hershel’s Crusade, No. 3: Forgeries and Unprovenanced Artifacts,” BAR, March/April May/June 2018. Not a BAS Library member yet? Learn more about the library and join today. Israel Museum curators have called “Gabriel’s Revelation” the most important document found in the area since the discovery of the Dead Sea Scrolls. 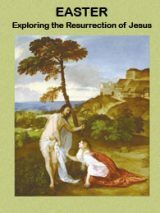 Read the original English publication of “Gabriel’s Revelation” by Ada Yardeni along with Israel Knohl’s article that made scholars around the world reconsider links between ancient Jewish and Christian messianism in the free eBook Gabriel’s Revelation.